Our paper on content-addressable DNA databases wins best student paper award at DNA24. Woohoo! Take a look at the paper! 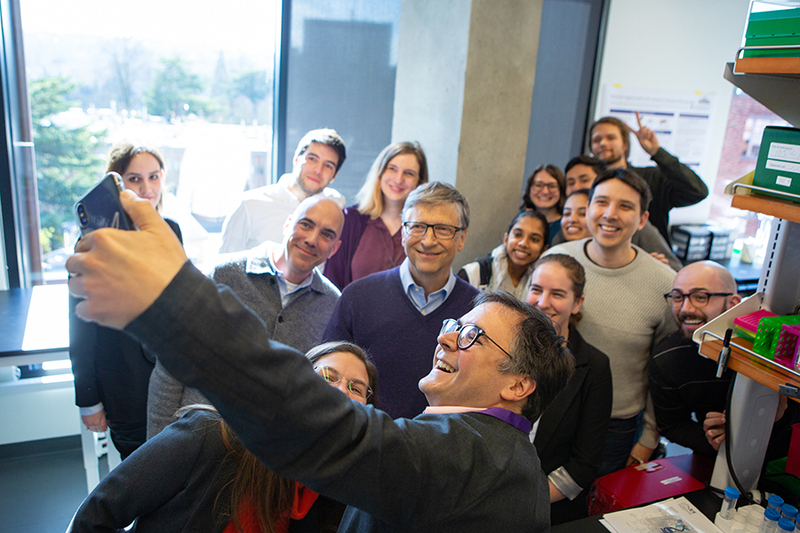 Our #MemoriesInDNA project will go to space! Submit your photo(s) here! Our paper on content-addressable DNA databases demonstrating application-driven learning of DNA sequence encodings will appear this October in DNA24. Take a look at the paper! Katie led a demo at the Pacific Science Center for their Meet a Scientist outreach program. 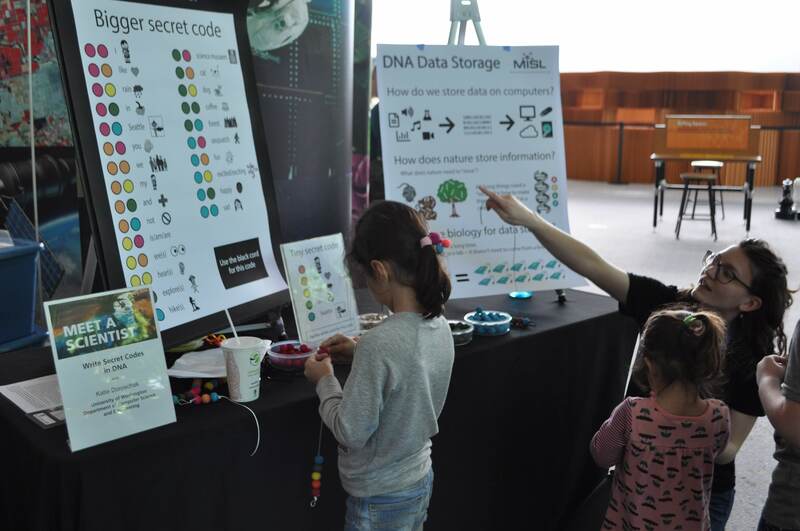 Kids of all ages learned how to read and write sentences in a special DNA-like code! Max gave a talk on programming languages and microfluidics at PNW PLSE. 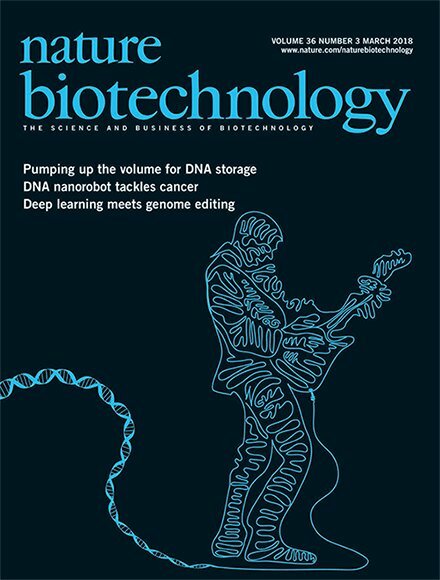 Our paper detailing our adventure with large-scale DNA data storage was just published in Nature Biotechnology. Check it out! We just launched our #MemoriesInDNA project! Submit a photo to help us understand what sorts of images people want to remember. We’ll take a sample of these images and archive them into DNA. Check out the website for more! Max and Jared gave a talk at OBT at POPL 2018. Check out the abstract or the project page. Our NIPS paper on clustering for decoding digital data from DNA sequencing was just released. Enjoy! Clustering Billions of Reads for DNA Data Storage. We just released a manuscript describing our last year or so of progress towards viable DNA data storage. Enjoy! Scaling up DNA data storage and random access retrieval. MISL researchers have achieved a new milestone by encoding and retrieving a record-high 200 megabytes of data on DNA!